The trucks arrived at the Hyatt in Anaheim late Tuesday, Dec. 28. 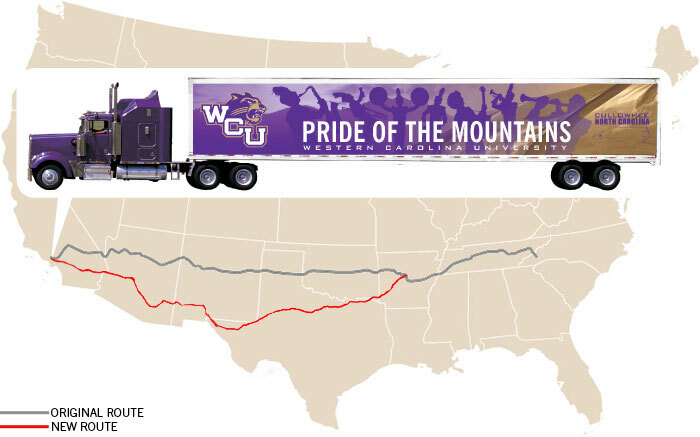 The three trucks carrying band equipment, instruments, uniforms and luggage across the country through snow and a seemingly neverending stretch of highway through Texas arrived late Tuesday, Dec. 28, at the Hyatt in Anaheim, Calif., after three long days of driving. See their journey in the slideshow below, or read about it in previous road report posts. Many thanks to the drivers who volunteered their time and who worked on Christmas to prepare the trucks for wintry weather!